Having just come from an ACE forum on, inter alia, the process of applying for foundation skills funding, the relationship between multiliteracies and foundation skills, the support networks and resources available, the way the new system is rolling out and what it means for community centres, and so forth, I need to offload some of this onto a permanent site before it all evaporates, as often happens. The second half of the forum was for professional development, focussing for example on how you can incorporate LL&N assessments into more or less everyday tasks, or at least the tasks you might be setting your students in an everyday class, such as goal-setting or applying for work. None of this is particularly problematic. What is problematic is the whole outcomes and pathways focus, and the expectation, or possibly vague hope, that community centres, even under the auspices of TAFE, can deliver those outcomes and start clients along those pathways. The first thing to ask is – who are the clients of community centres? My experience is that they are generally seniors, but with a mix of younger people with particular needs, who go to particular classes or groups – such as ESL classes, or social groups for young mothers. For example, I’ve been teaching one on one computing on and off for years now at community centres, and my clients have been elderly by and large – certainly I’ve never had to teach any young people. My ESL classes would probably have an average age of around fifty, and they’ve been overwhelmingly female, and mostly not seeking employment. Although these clients are no doubt interested in learning outcomes, many are not particularly interested in pathways, at least not in the sense that TAFE and DFEEST has in mind. DFEEST’s ‘Skills for All’ document, which I’m in the process of reading [tedious but necessary] sets out the South Australian government’s agenda, which relates above all to productivity and participation rates. All of this is in line with national agendas, but South Australia, as a smaller population, smaller natural resources state, has always lagged behind the national average. The Skills for All program is the latest attempt to address this, with some $194 million being committed over the next six years to try to create some 100,000 more VET placements. Included in this is funding for foundation skills ‘to provide entry level pathways’ through ACE [Adult Community Education]. That’s what we’re supposed to be doing. • double the number of higher qualification completions (Diploma and Advanced Diploma) between 2009 and 2020. In the 2010-2011 Commonwealth Budget, $660 million was committed over four years in the Skills for Sustainable Growth package. The main components – Skills for Recovery, Foundation Skills and A Training System for the Future – align closely with Skills for All. 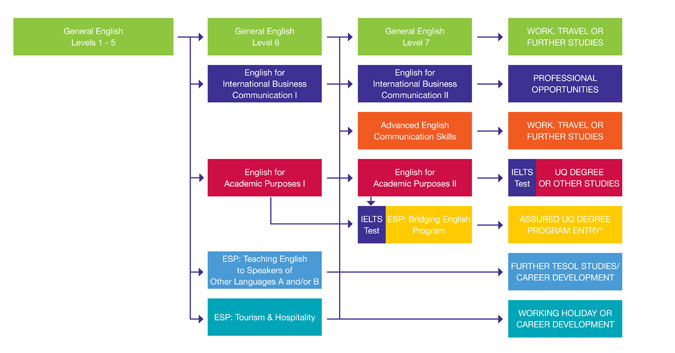 All of this sounds laudable enough, but what I see on the ground is a very small handful of clients particularly interested in ‘entry level pathways’, and a lot of people interested in getting connected with community, or improving their English skills so as to integrate themselves just a little more with their new country [or in some cases, the country they’ve lived in for years, the language of which is still largely foreign to them]. It’s productivity of a kind, but not a kind that’s easily measurable or easily channelled into recognisable pathways such as paid employment or training. Yet funding is being waved at us, in exchange for tweaking the community services and life skills courses we offer into ‘pathways to productivity’ services and courses. We’ve made an attempt to repackage our advanced ESOL class at one community centre to reflect this change of emphasis, with apparently disastrous consequences – the class, which last semester catered for an ever-changing group of six to eight students, has attracted only one or two students this semester. Why this has happened is hard to say. The obvious possibility is that we’ve scared people off by pitching the course as overly ‘professional’ [in fact it wasn’t really a course, just an open class of English conversation and instruction]. A change of time from afternoon to morning, and a change of length from two to three hours, may also be factors. We’re struggling to address this and to soften the image of the course but to no avail so far. It’s a new pressure for community centres, the meeting of targets, bums on seats, and it’s a pressure that’s in danger of altering the perception of these friendly, almost sheltering hubs. It seems it doesn’t pay to advertise that we are, almost and only occasionally, registered training organisations.